Daffodils are some of the most beautiful flowers springtime offers us. They’re delicate, yet strong, with a hint of danger – who wouldn’t want to grow them in their garden? But planting daffodils entails finding more about them in the first place. 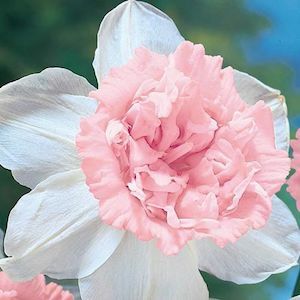 These gentle flowers are very resistant perennials, and quite easy to plant. The best time to plant them is autumn, so you can enjoy their delicate blooms in the early spring months. Traditionally, they have six white or yellow petals, and their corona has a trumpet shape. 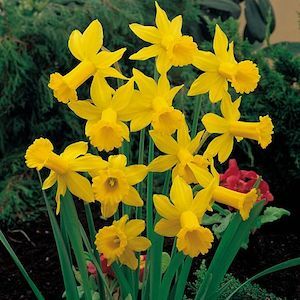 However, there are plenty of daffodils varieties today to ornate your garden with. 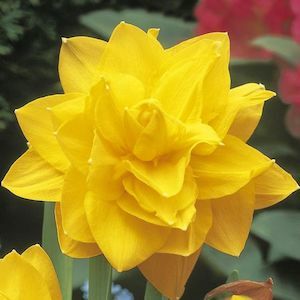 Besides, a stem can carry up to 20 flowers on its leafless body, which makes daffodils all the more interesting. There are plenty of ways to beautify your garden with these flowers. You can plant them on a terrace, in a wide grove, in a wooded area or even between shrubs! They’re amazing cut flowers, symbolising new beginnings. As such, they’re the perfect gift for graduation, wedding or a newborn. 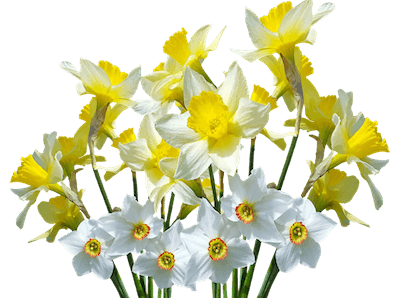 There is a wide variety of daffodils to choose from, so you have to plant the right ones for your garden. Besides, when you’re selecting the bulbs, make sure they aren’t dry. Larger bulbs are generally better than smaller ones. Golden Ducat, with its amazingly pure yellow corona. This 35 cm daffodil blooms in the late season. Minnow, with its cup-and-saucer flowers and delicate fragrance. You can grow it on a border or even in a pot. February Gold has small, golden petals on the edges and a small bell-like corona in the middle. It blooms in the late season and it’s perfect for borders. Pheasant’s Eye can be naturalized in lawns and has a rich, citrus smell. Petit Four, with its white and pink petals, is a great choice for shadier garden spots. The first step of how to plant daffodils starts with selecting the right bulbs and picking up the right timeline. Check the weather to find out the frost dates for your area. Make time to plant the bulbs in autumn, at least 3 weeks before the frost strikes. Make room for the bulbs in a part of your garden that’s mostly covered by sunlight, with little to no shade. Daffodils are resistant plants that grow easily, but the best home for them is a moist soil with mild fertility and great drainage. 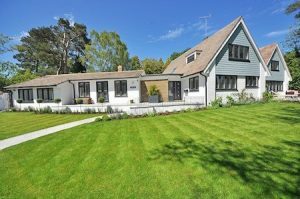 In choosing the right soil, check the daffodil variety you have: some might prefer alkaline turfs, while others thrive on acidic soils. In regards to how deep to plant daffodils, the hole has to be between 1.5 – 5 times the length of the bulb. If you have a cold winter coming up, ensure there is about 10 cm of soil above the daffodil bulb. Add some bulb fertilizer inside the hole to make sure your daffodils grow. Make sure you leave about 10-12 cm between the bulbs. Don’t uncover them. Daffodils need some sort of protection against inclement weather. The story with planting daffodils doesn’t end here. 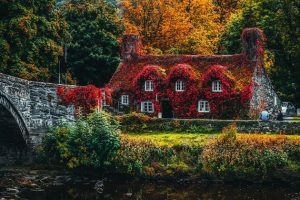 The nonconformist gardener might not agree that the best time to plant daffodil bulbs is during autumn – this means you have to wait until springtime to see the beautiful blooms. So what if you want to see the beautiful daffodils brightening your garden in February? Can you transplant the daffodils from an indoors container? The short answer is no. You cannot transplant daffodils when they bloom, and not for a good six weeks after. During this time, the bulb stores all the energy and carbs it needs to grow the next year. This period is also essential for developing the bud and leaves for the following year. But that doesn’t mean you can’t take daffodils from your indoor pot and place them in your garden, to enjoy a flowery winter. Pamper the daffodils to make them store more energy. Prepare them for moving in March and early April, by clipping the withering blooms, so the bulbs don’t use up their energy to make seeds. Once you cut them and place them in pots, make sure they stay in a cool and sunny part of your garden. The soil has to be moist enough, but never soaking wet. The leaves need to be grown as a houseplant until they dry. Once the leaves wither off, get the bulbs out of the ground and place them in a paper bag. Put the bag in a cool and dark storage room until autumn. 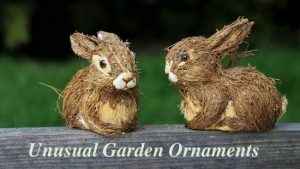 Another option is to plant them in your garden if you don’t have appropriate storage for them in your home. In regards to how deep to place the bulbs, the hole has to be about 20 cm deep, and the soil moist enough for the daffodils to thrive. Even if daffodils are hardy, you still need to take care of the soil and the flowers themselves. If the bulbs don’t act as well as they should, you can apply a fertilizer to your soil. 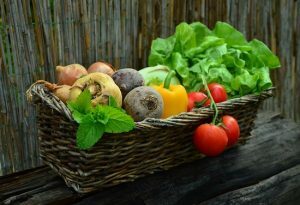 The best type of fertilizer is high in potassium and low in nitrogen. If your flowers bloom late in springtime and there’s little rain until then, make sure you water the daffodils regularly. 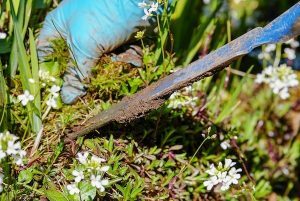 Once the petals fall, deadhead the plants to keep your garden looking its best. Don’t remove the leaves for about 40 days, at the least. If there’s any clumping during flowering, lift the clumps up and split them. Even if newly-bloomed daffodils make great cut flowers, don’t cut them right from the beginning. Allow the daffodils to grow enough, so the bulbs accumulate enough energy and carbs to bloom again the next season. When the time comes to cut the dead daffodils, you can either twist from their leaves combined with a light pulling motion, or make a cut at the base. When all the daffodils are cut, improve the soil with bonemeal. Remember not to place other flowers in the same vase with daffodils. Their stems have a toxic fluid that makes other plants wither away. If you have to make this arrangement, make sure the daffodils sit in a vase alone for about a day beforehand. To wipe out all traces of this jealousy fluid in their stems, rinse them well before placing them in the vase along with the other flowers. If you have allergies or a delicate skin, wear gloves while handling daffodils. If you’re wary about planting daffodils, you may have heard that these delicate flowers are toxic. But are daffodils really poisonous? Long story short: yes, they are. If humans or pets swallow them, they can become dizzy, experience vomiting and diarrhoea, as well as stomach pain. If your pet eats the bulbs or if you mistakenly confuse them for onions, you can experience irritations as well as an upset stomach. But the bulb isn’t the only one that’s toxic. Remember how we said that daffodils make other plants wither if placed in the same vase? That’s because they contain lycorine, which is a toxic chemical. Ingesting this chemical gives you an upset stomach for a few hours, but nothing more serious than that. However, if your pet eats a lot of bulbs, which contain the highest concentration of this chemical, it might experience liver damage and dizziness. The daffodil bulb is also rich in oxalates, chemicals which cause severe irritations. So what is the treatment for that? The first step is to rinse your mouth with water. Hydrate to help the toxin out of your body faster, and go to your GP if you experience severe pain. 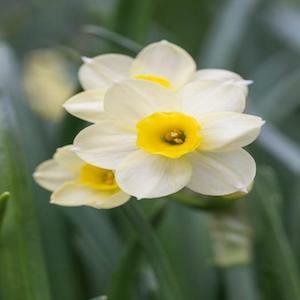 Now that you’re here, you’re an expert on how to choose the daffodil bulbs, how and when you need to plant daffodils, how deep to place the bulbs, as well as how to plant forced daffodils. 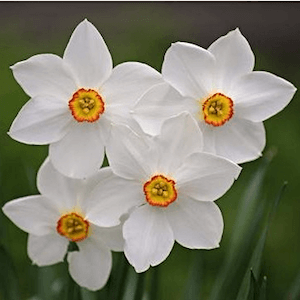 Remember that these flowers are beautiful, yet toxic – they don’t call them narcissus for nothing. To prevent accidental intoxication, keep small children and pets away from them. 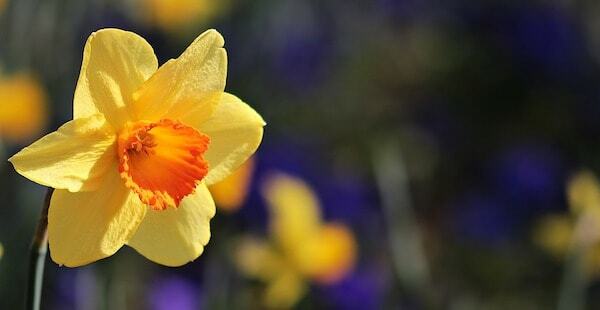 Did this article convince you to plant the beautiful daffodils in your garden? And are there any other type of flowers do you plan to beautify your garden with?